A 214 hp engine and a sleek design was all the rage at the 1993 Detroit Auto Expo when Dodge first introduced the Intrepid to the public. The Intrepid featured both passenger and driver airbags to protect occupants from harm during collisions. New technologies like traction control and an illuminated ashtray console for smokers seemed too good to be true. Dodge lovers do not have to spend time searching for a reliable place to purchase Dodge Intrepid engines for sale. We have this engine as well as other popular Dodge motors in stock and ready to ship. You really never know that quality that you will receive when you buy a used engine until it finally arrives. Many engine retailers do not provide support after a sale is completed. Our Dodge Intrepid engines for sale are purchased from reputable wholesalers that provide low mileage engines. We inspect every engine that we purchase to make sure that it is in excellent condition. Our engine mechanics disassemble the engine and begin the cleaning process. 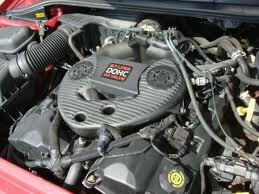 All of our Dodge Intrepid engines for sale go through our inspection and quality control procedures. This eliminates the possibility of a problem going undetected in our remanufactured engines. If our mechanics find issues with any engine, the defective or worn out parts are replaced with OEM quality replacements. We do not use cheap parts just to get our Dodge Intrepid engines for sale out of our inventory. Once each engine is reassembled, part two of our testing phase is started to ensure no errors are present. We test the combustion, compression and check for leaks in the fuel and oil lines We know that our Dodge Intrepid engines for sale are reconditioned expertly and will prove it to you when you make your purchase. All of the included parts come with a warranty against part defects. We already know we have the lowest prices online. You can get a price quote by providing us with the basics of your engine needs. One of our engine mechanics will review your details, check our inventory and give you the lowest price for our Dodge Intrepid engines for sale. Call us at 1-877-630-3873 if you want to get your quote by phone or complete your order. Our engine mechanics are ready to help you.